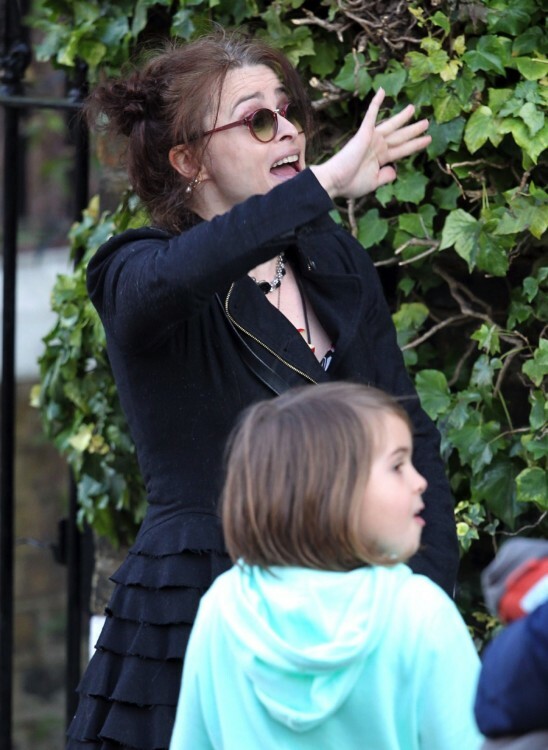 Helena Bonham Carter was spotted out in London on Thursday with her daughter Nell strolling though the set of ‘Five Seconds Of Silence’, which stars Brad Pitt and Marion Cotillard. The actress clearly recognized some members of the crew and stopped for a chat. Brad and Helena worked together in 1999 on Fight Club. 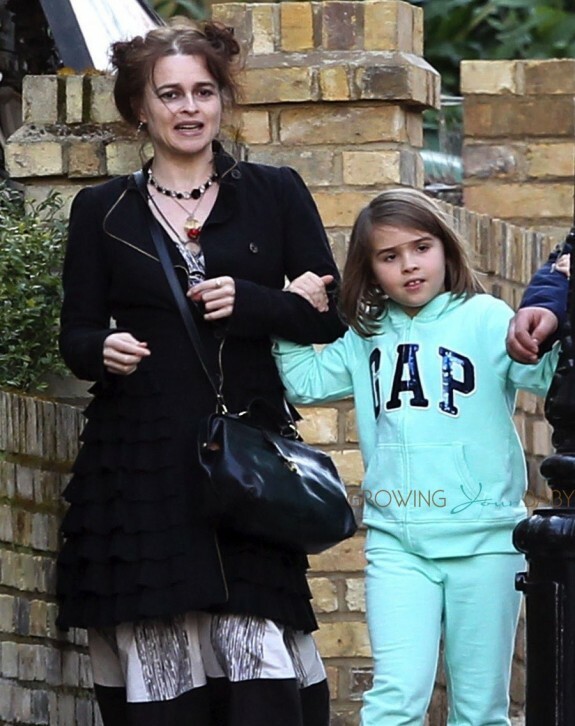 Helena will be back on the big screen herself on May 27th when Alice Through the Looking Glass hits theaters. The movie, which was produced by her ex-boyfriend Tim Burton, follows Alice as she returns to the whimsical world of Underland and travels back in time to save the Mad Hatter. 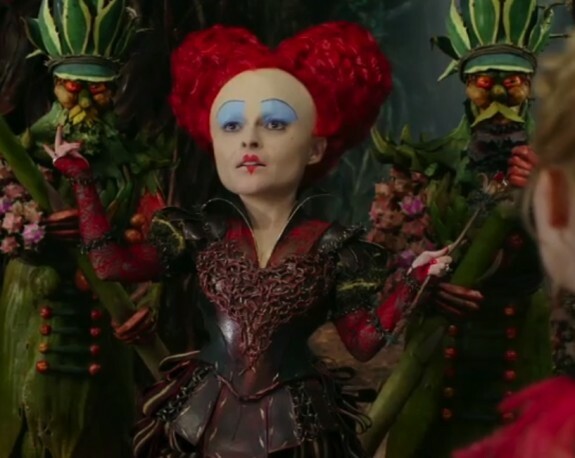 Famous for the unique parts she plays, Helena stars as the red queen.